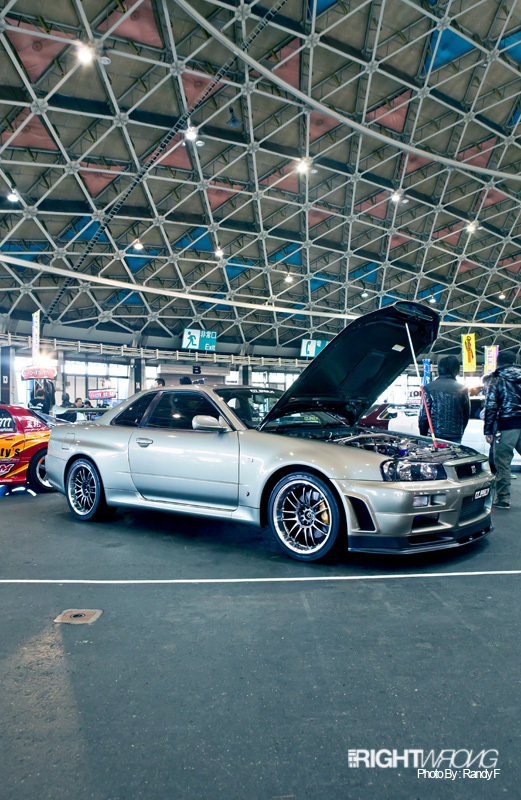 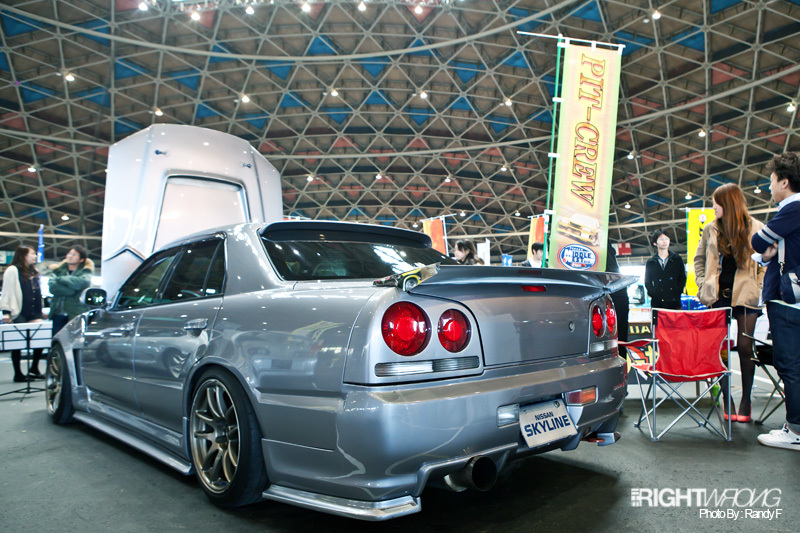 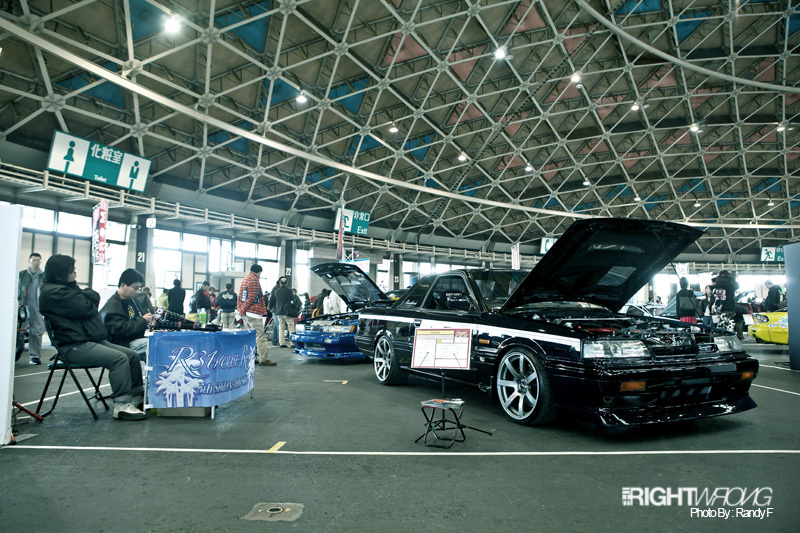 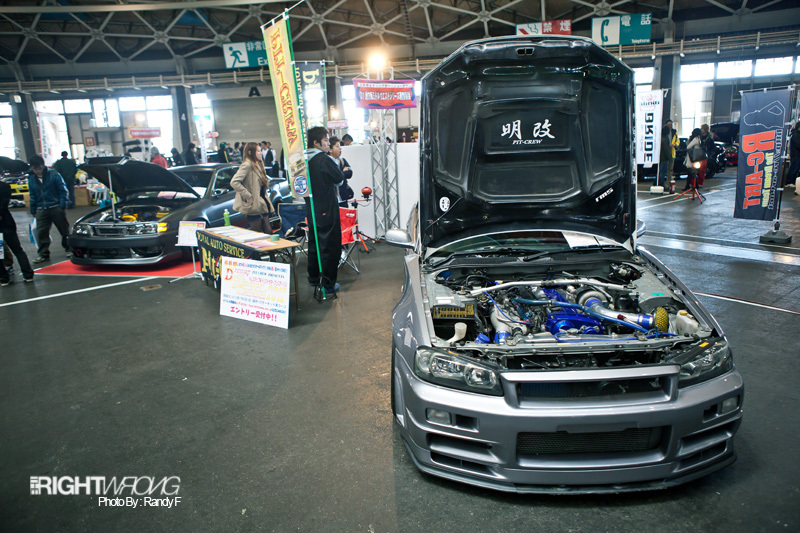 The second part of the Nagoya Exciting Car Showdown starts off with an array of Nissans, mainly the GTRs/Skylines that crowd the floors of the show. 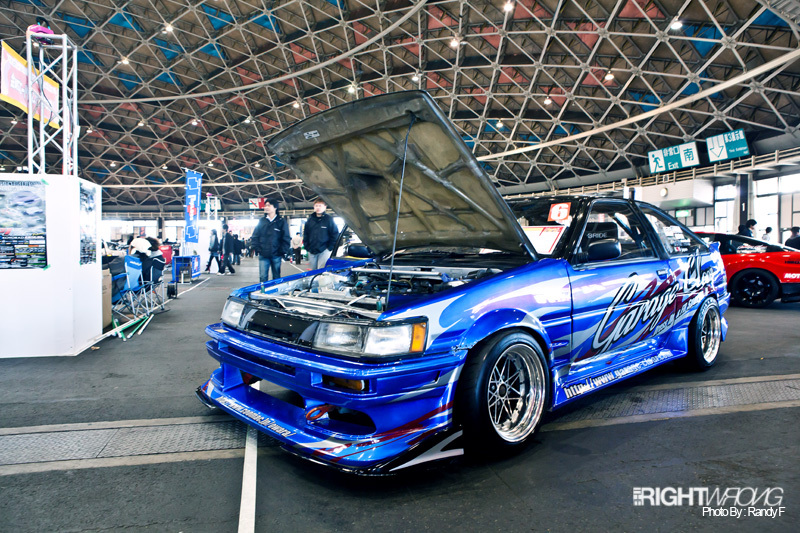 Ranging from the R31s to the latest R35s from different tuning house and their takes on the car. 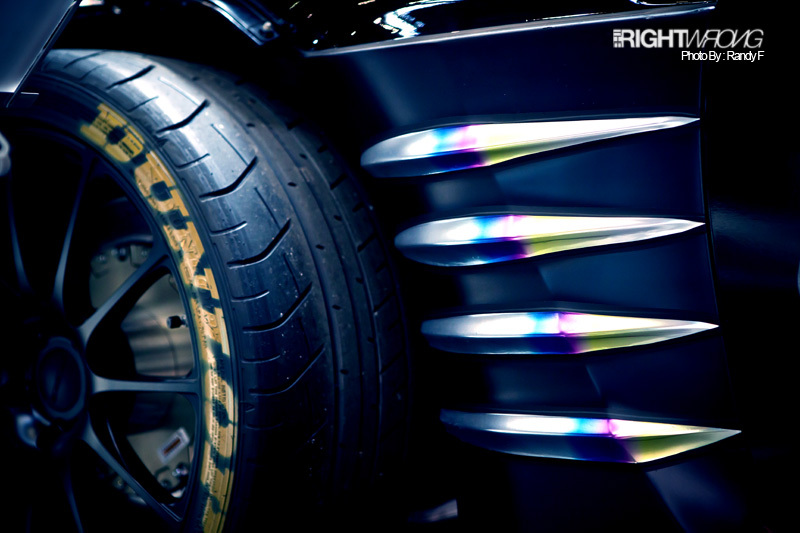 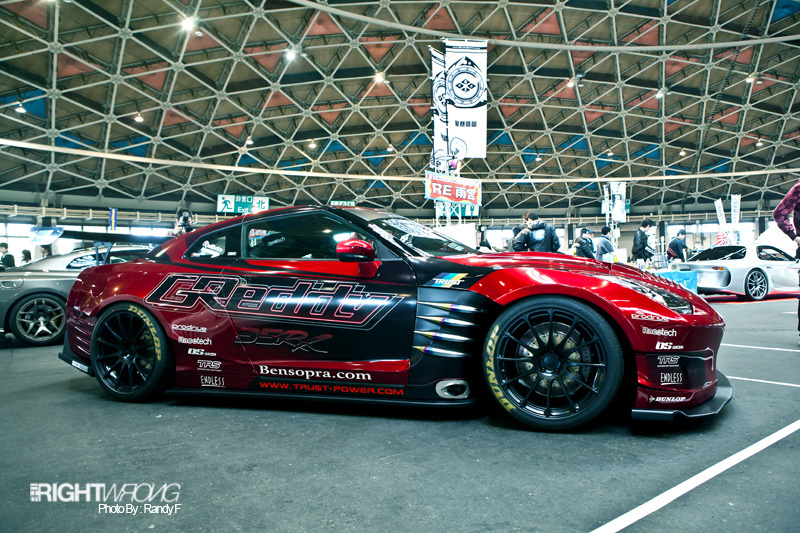 We start off with the now worldwide recognized Ben-Sopra GTR R35s. 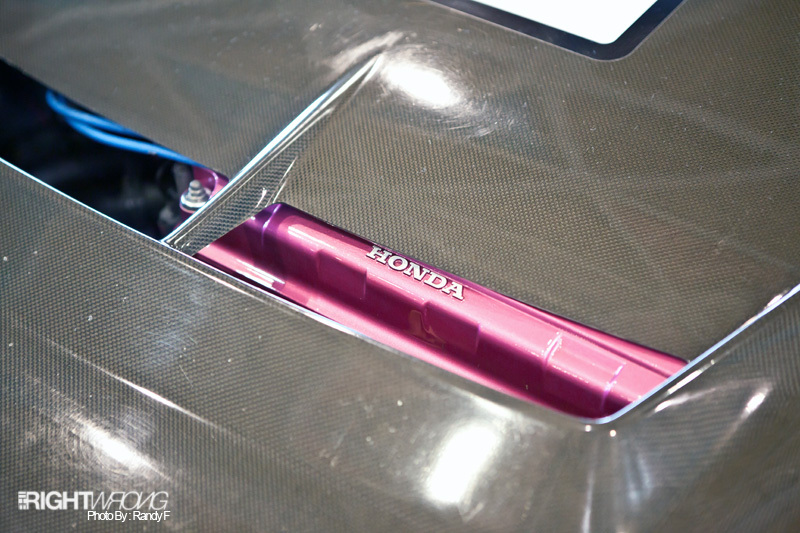 Its such a difference to see it in person than online where by the little details can be seen, like the titanium look fins on the front fenders to the chassis mounted rear wing. 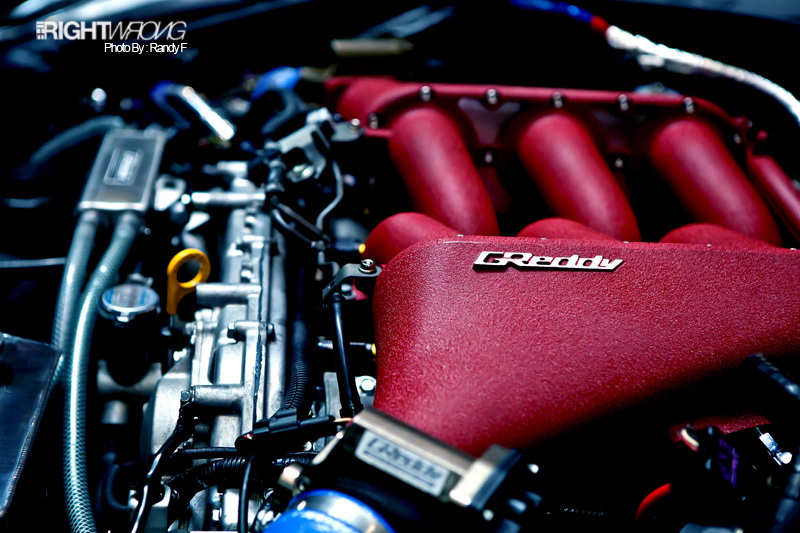 Sporting some GReddy goodies under the massive forward opening bonnet. 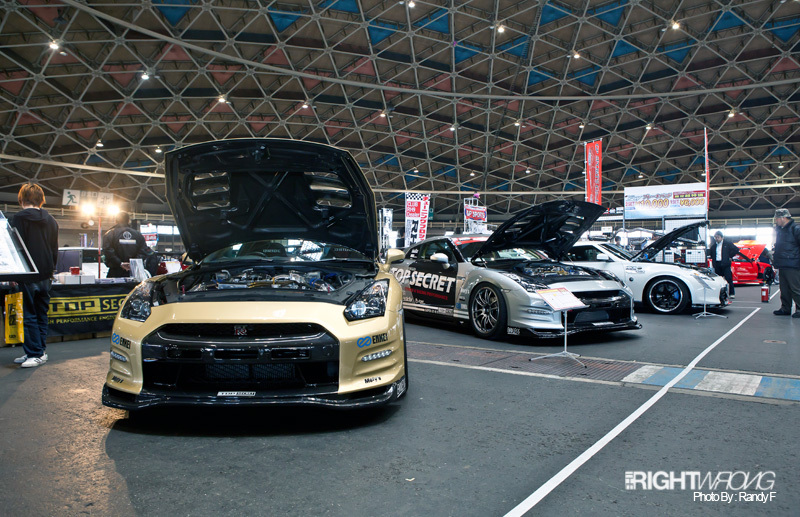 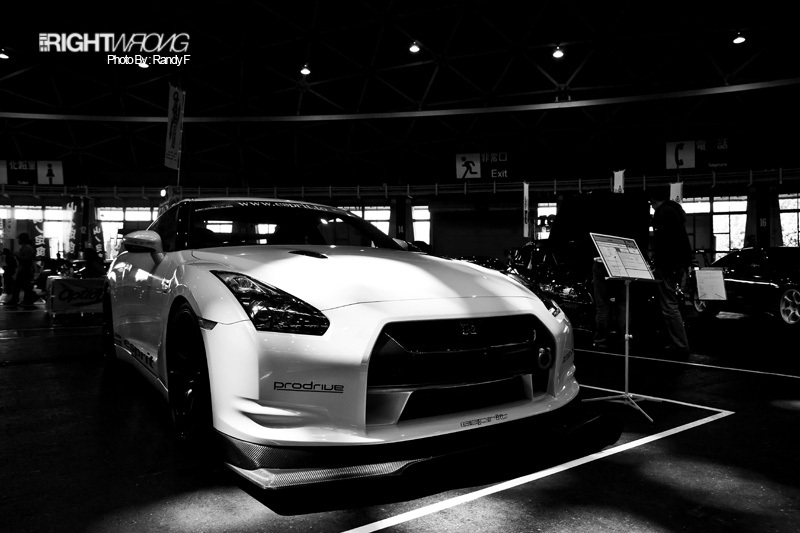 Next up we have a pair of R35s with the latest varient from the Fairlady line, the 370Z from Top Secret. 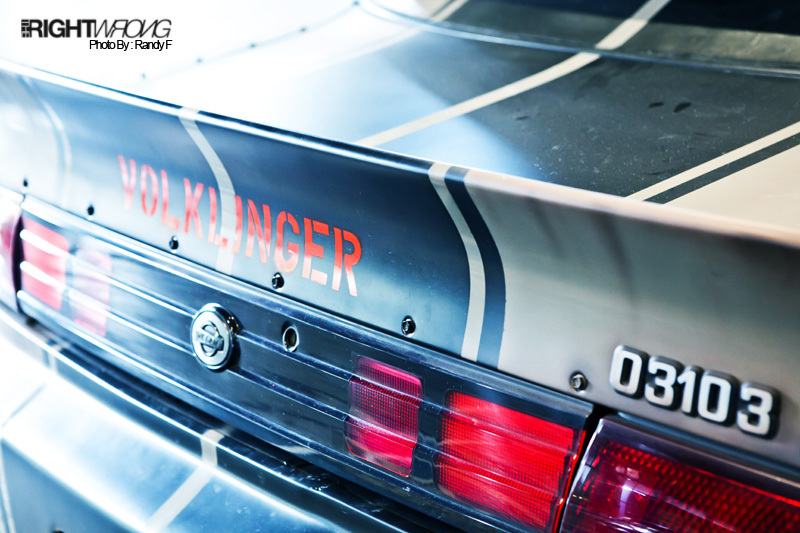 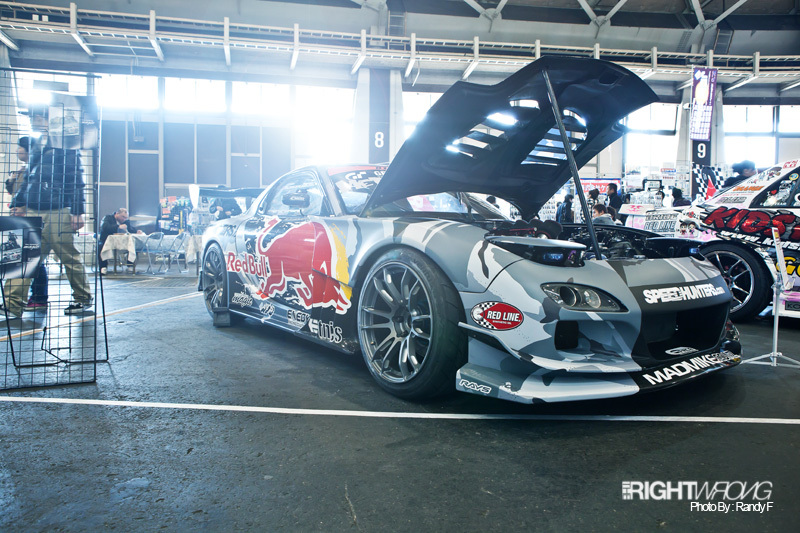 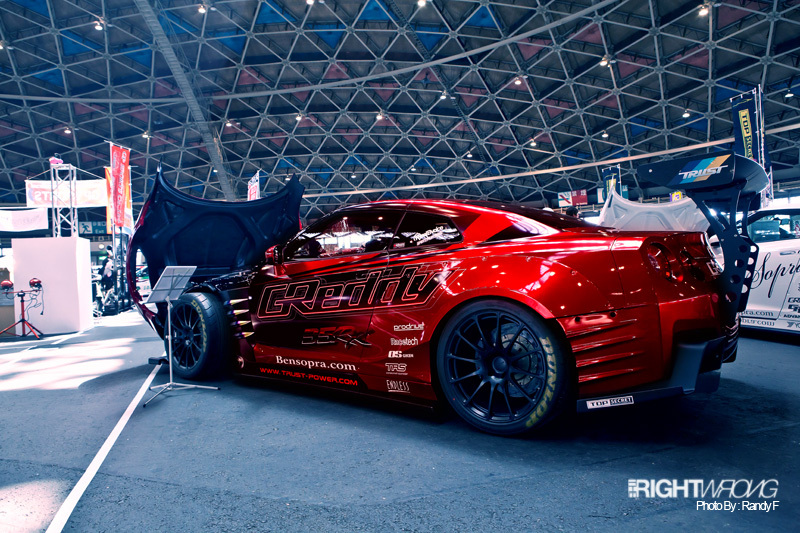 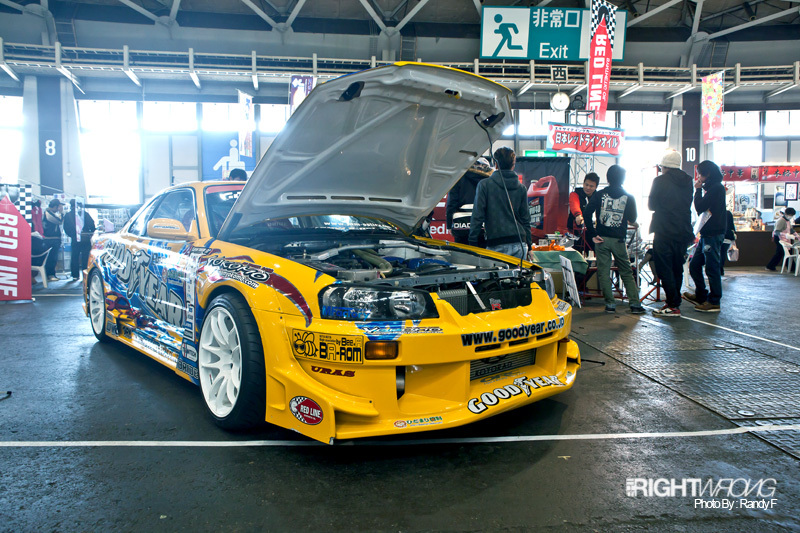 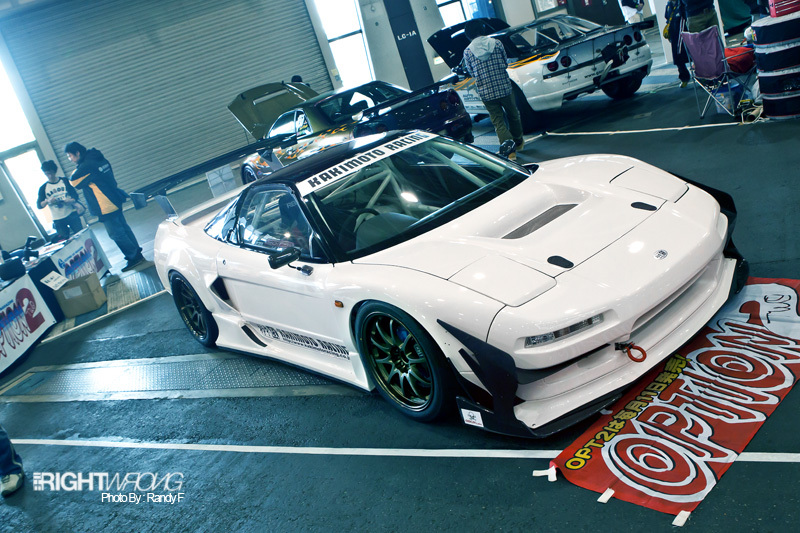 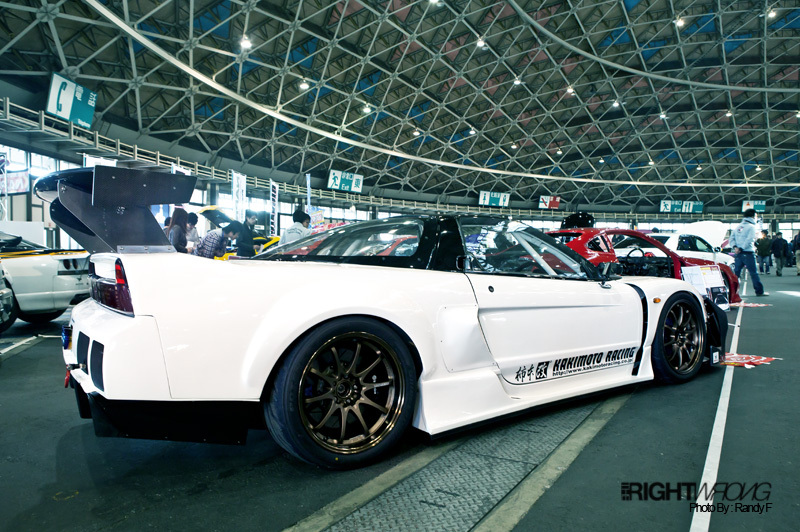 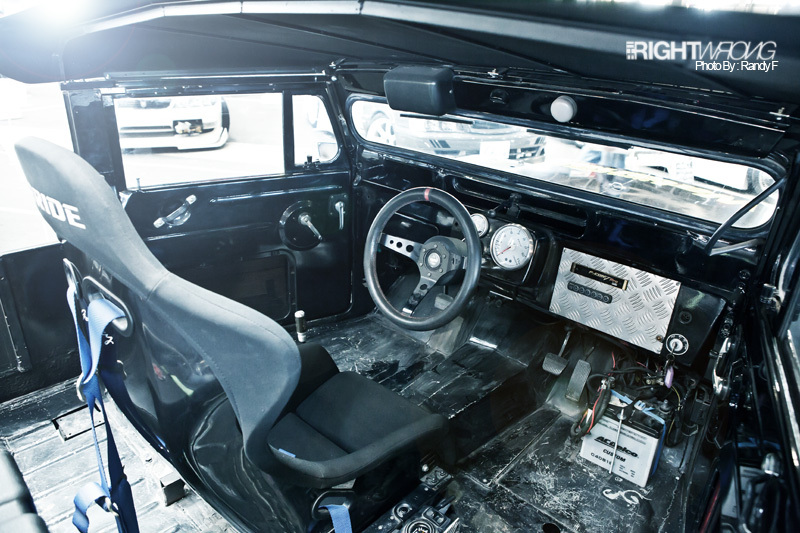 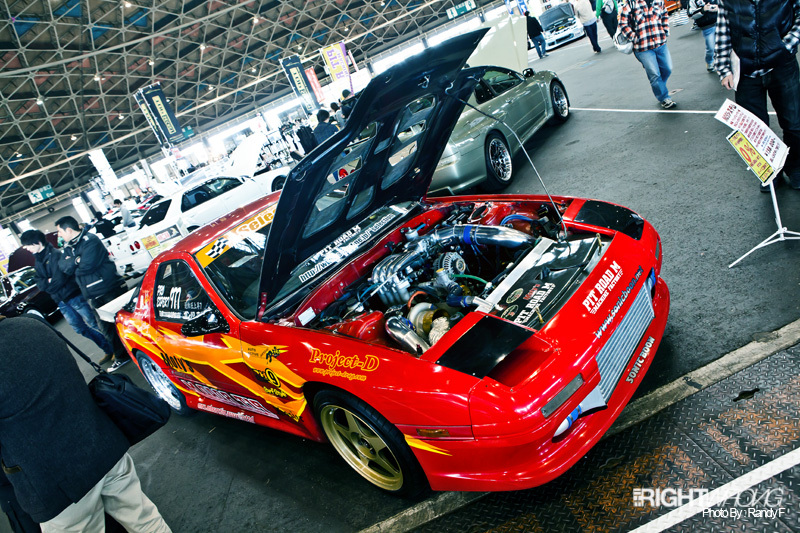 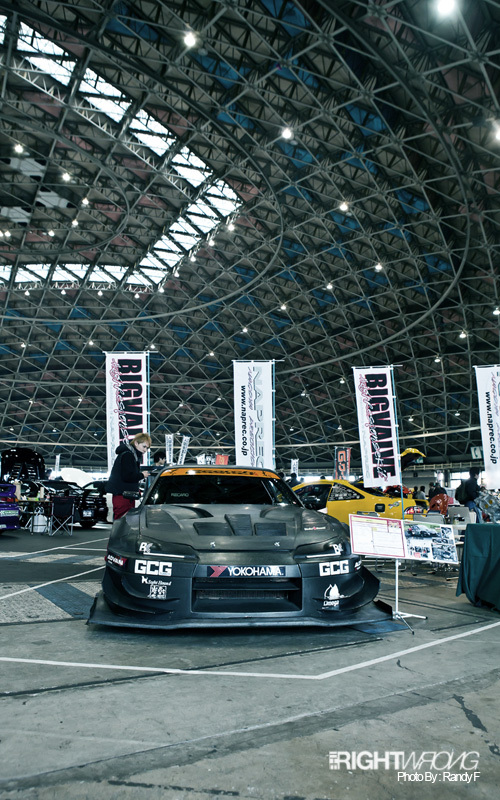 From the Wagan to the drifting scene with the Bee-R D1GP car. 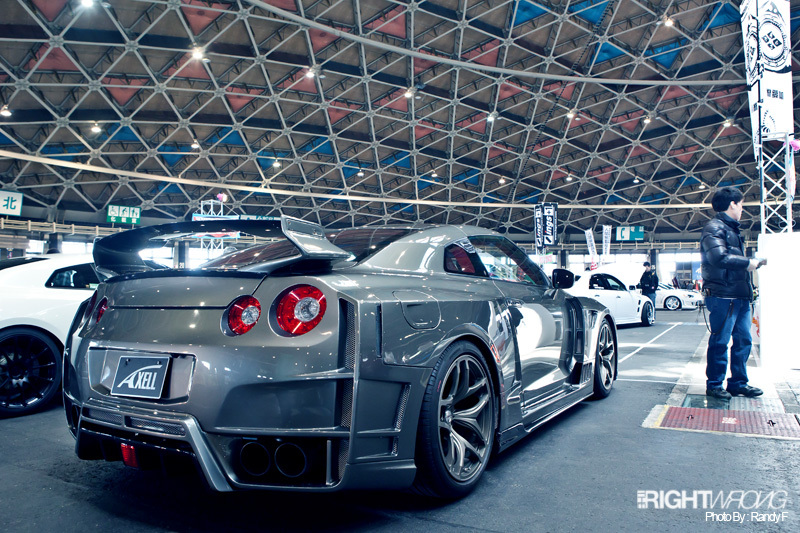 You can never have too many GTRs. 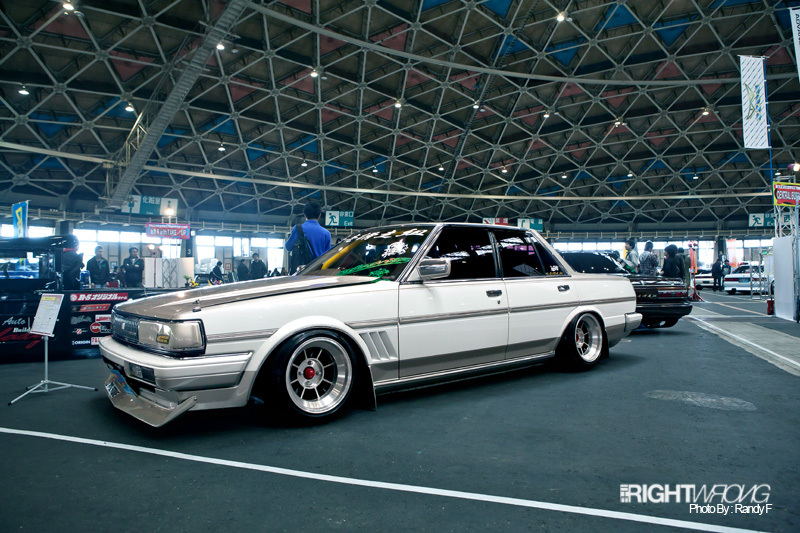 With the current rise to popularity is the R31s. 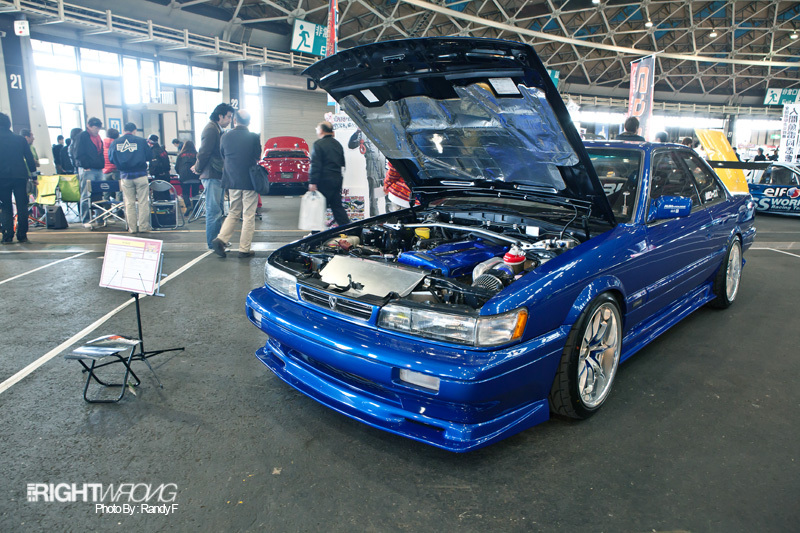 Sitting hard at the R31 House booth is, an R31 obviously, an old body with modern touches like the wheels and an RB26 at the front. 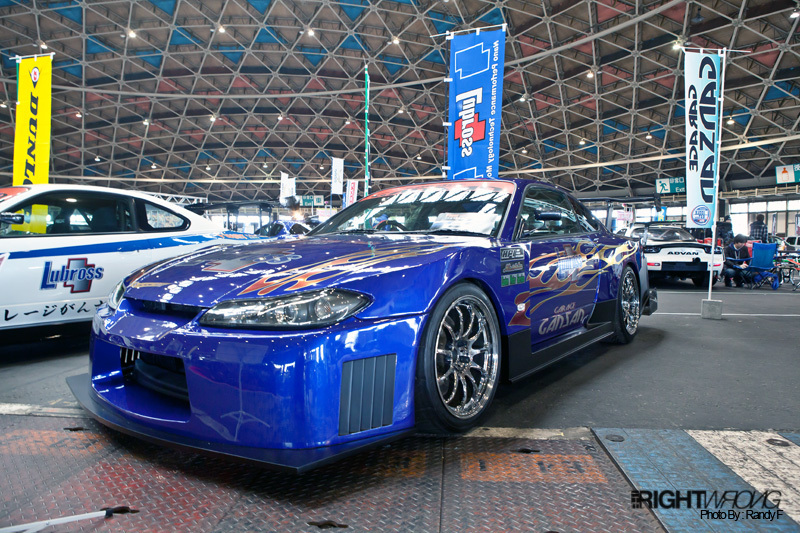 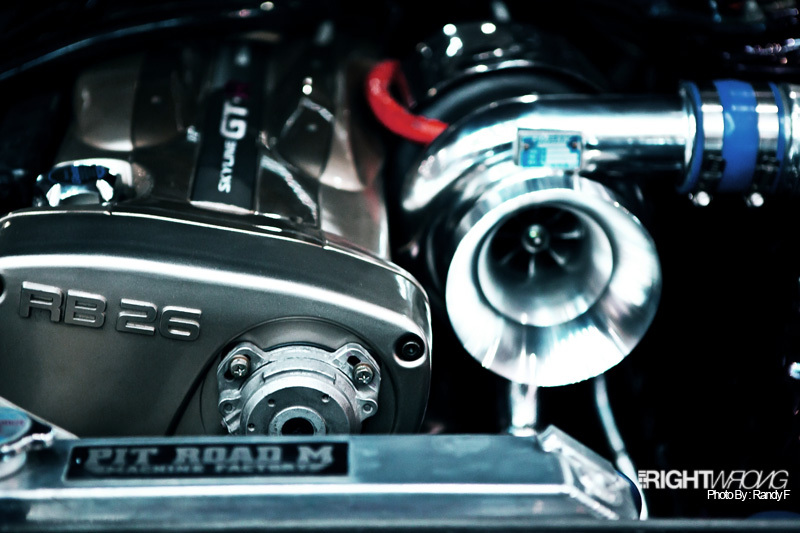 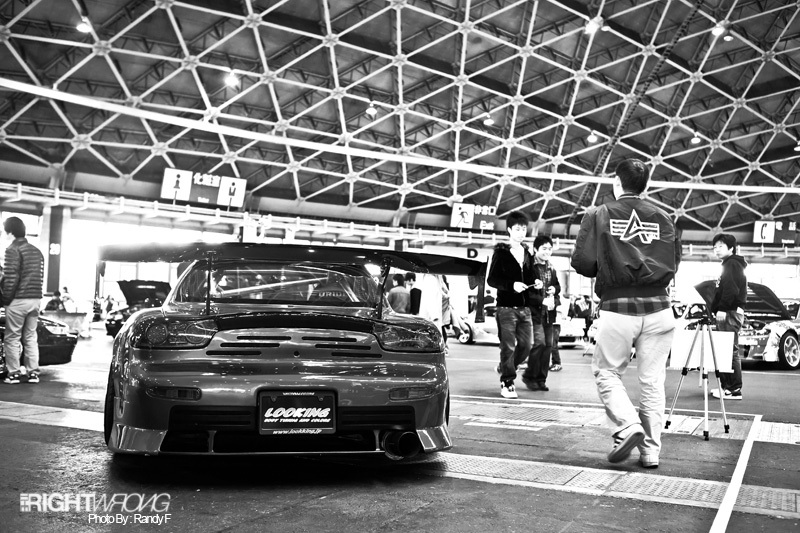 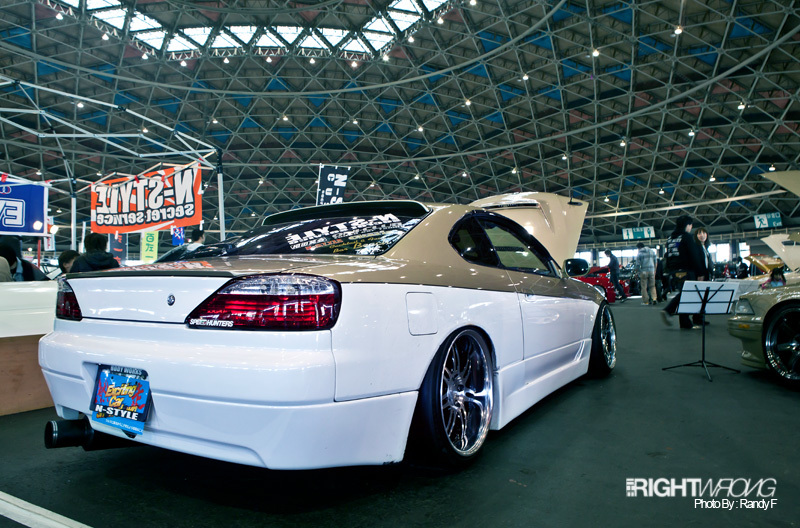 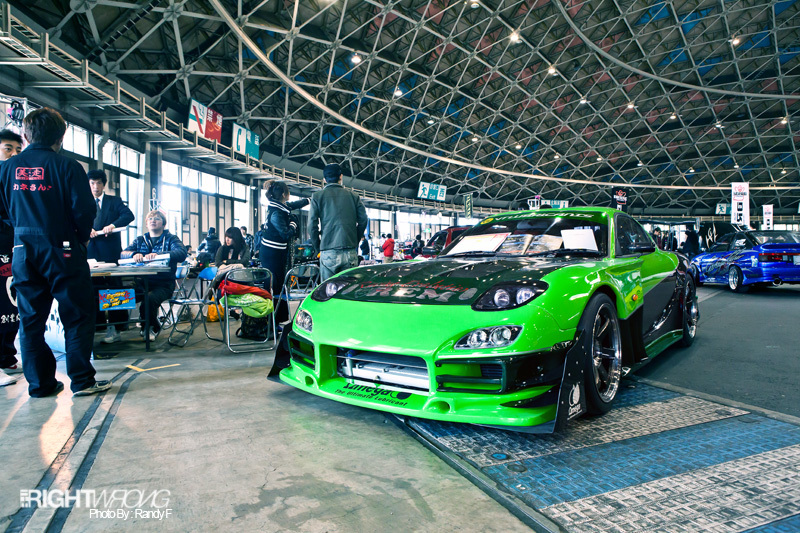 The privateer that is making tuning have a run for their money, Under Suzuki’s S15. 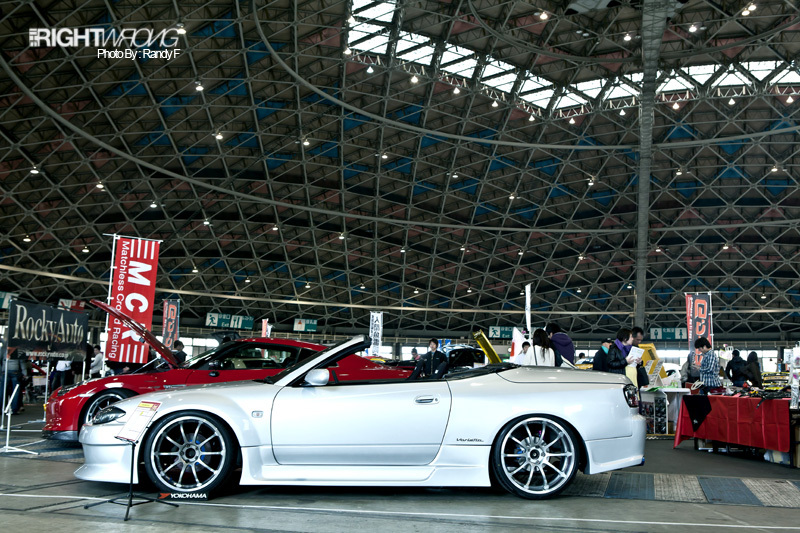 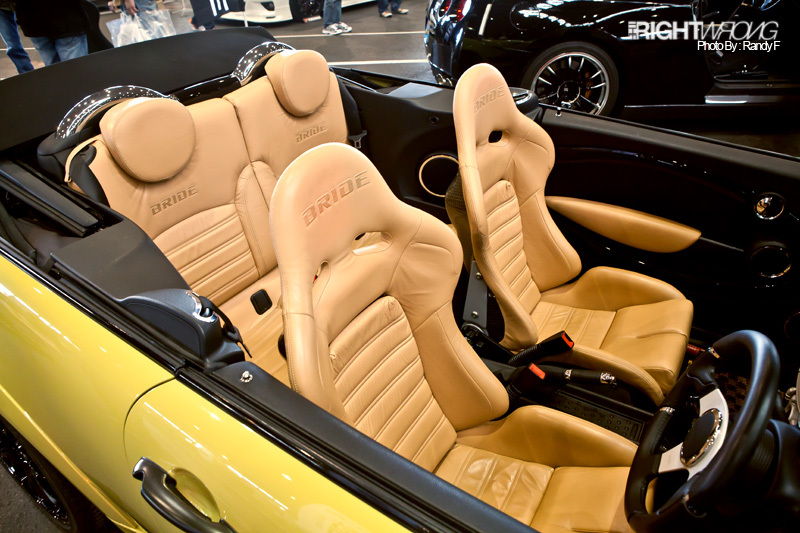 Since we are on Silvias now, MCR brought out an R35 with a cabriolet variant of the S15. 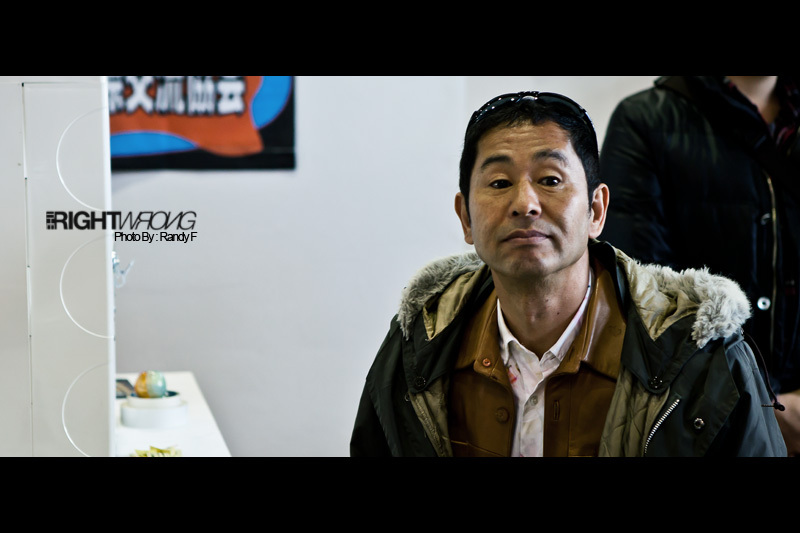 The owner of MCR and Yashio Factory, Kobayashi san and Okachan. 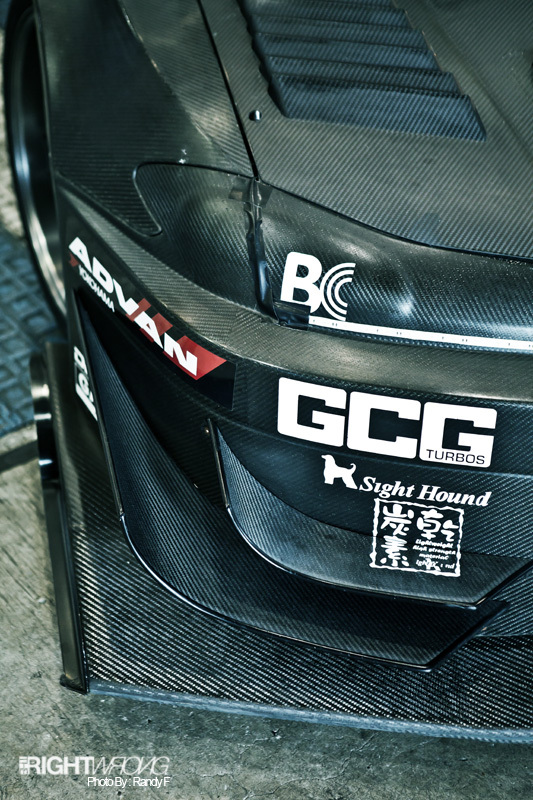 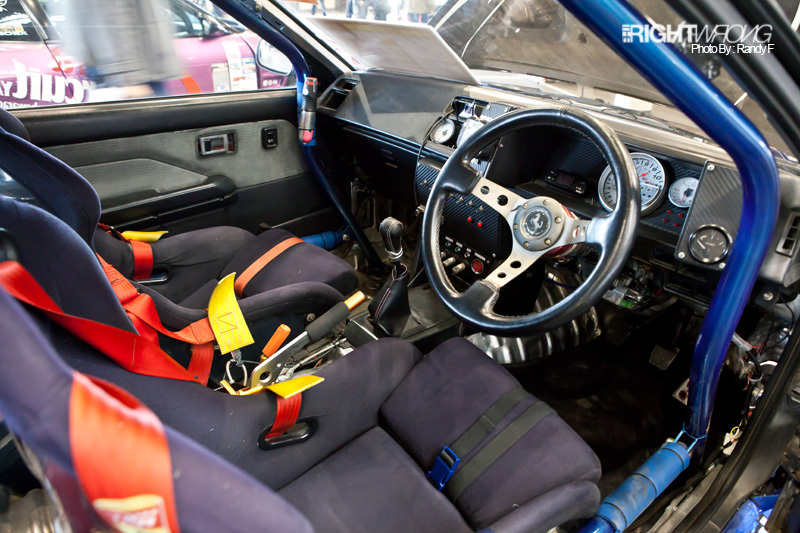 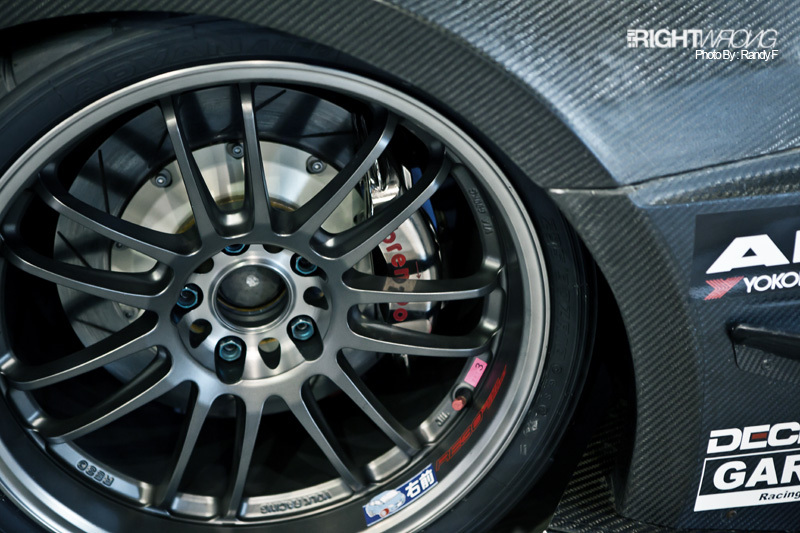 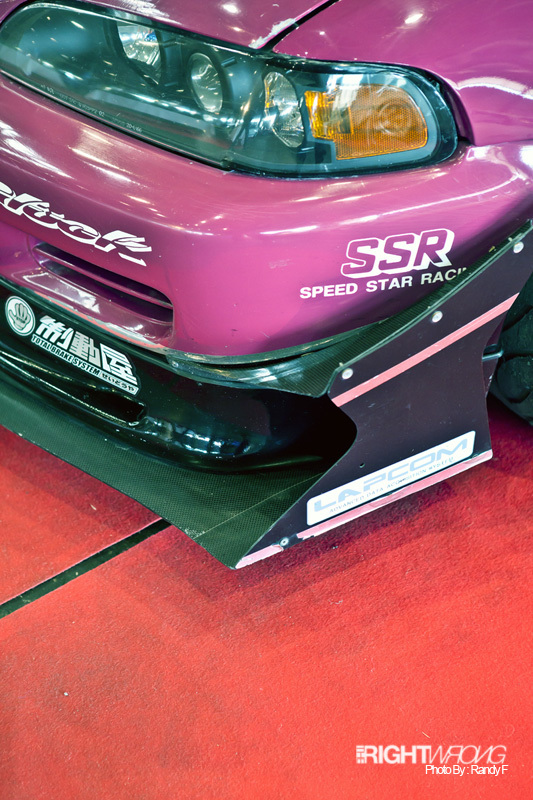 Grip action from the cars of the Meister Cup at Okayama Circuit. 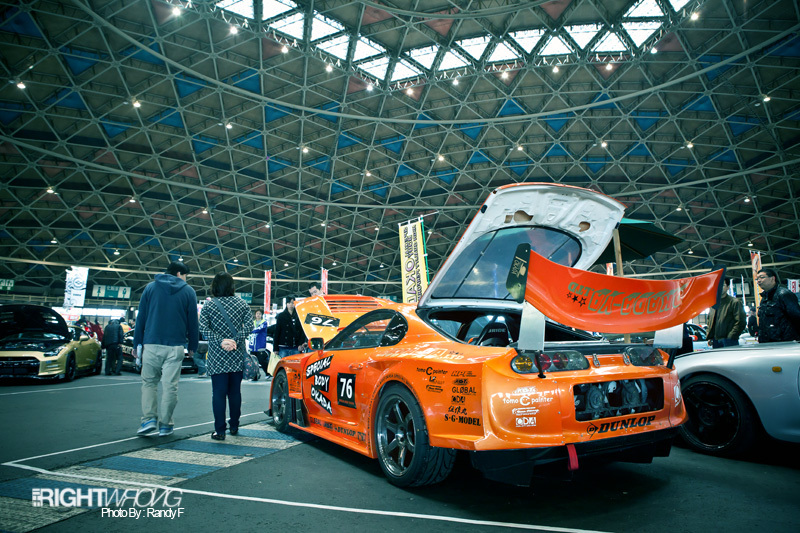 Ideas for local EG owners? 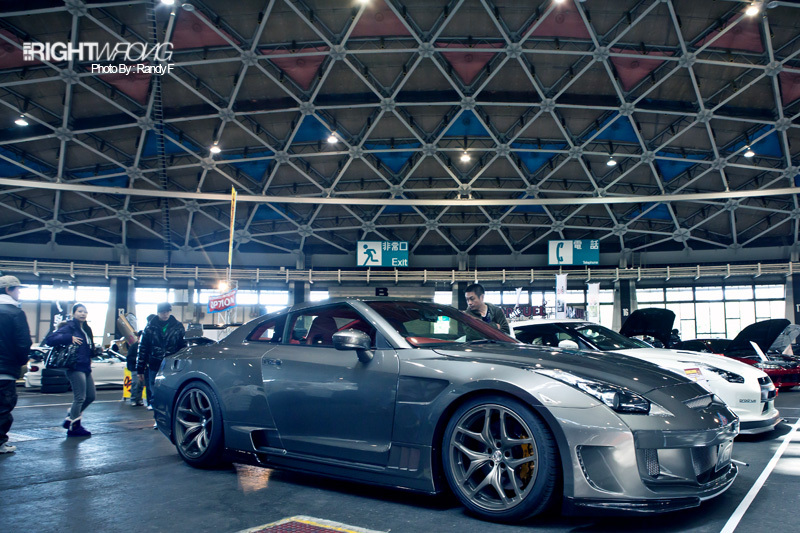 GX71 sitting on a set of Hayashi Street. 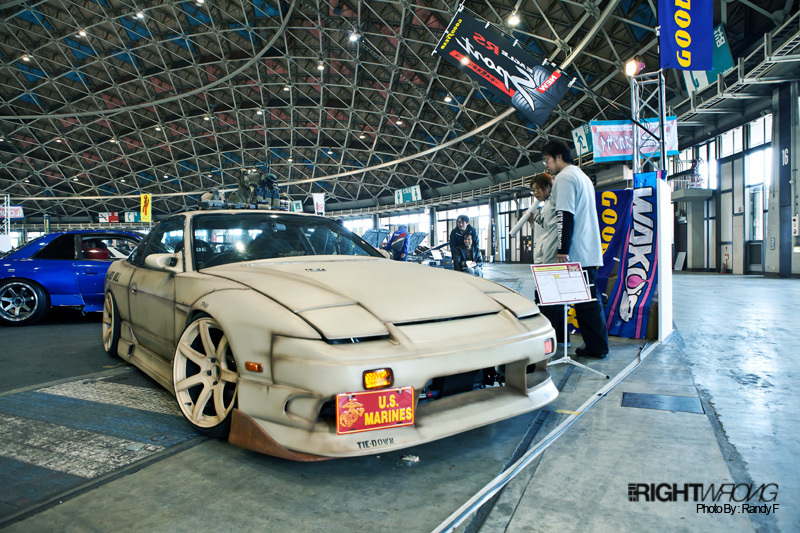 From the same booth an S13. 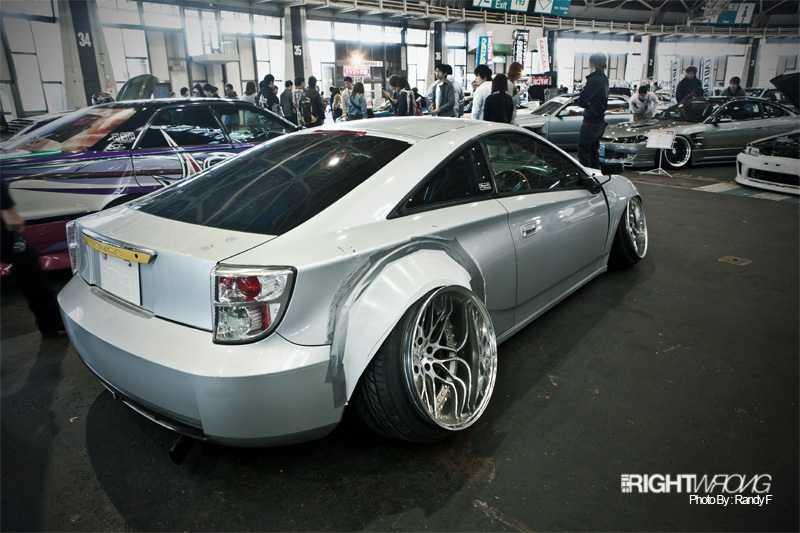 Massive amount of camber to fit that wide 14inch SSR. 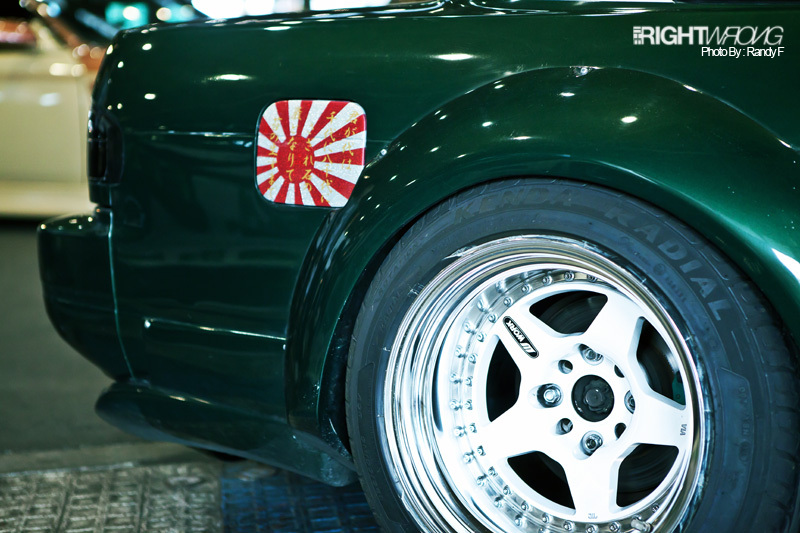 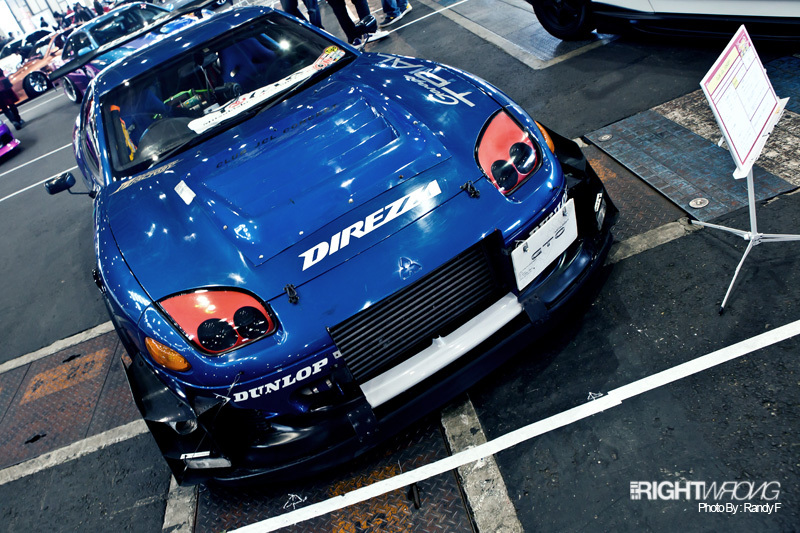 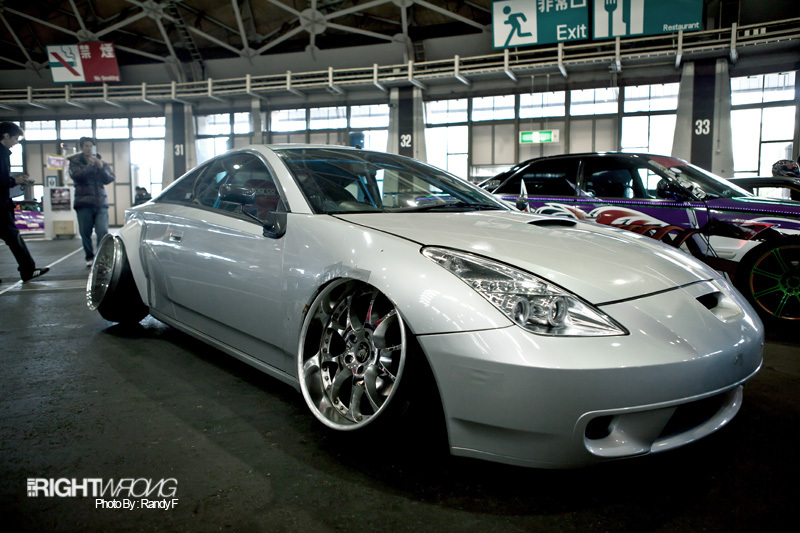 Since we are on fitment, heres Kawashima’s Celica. 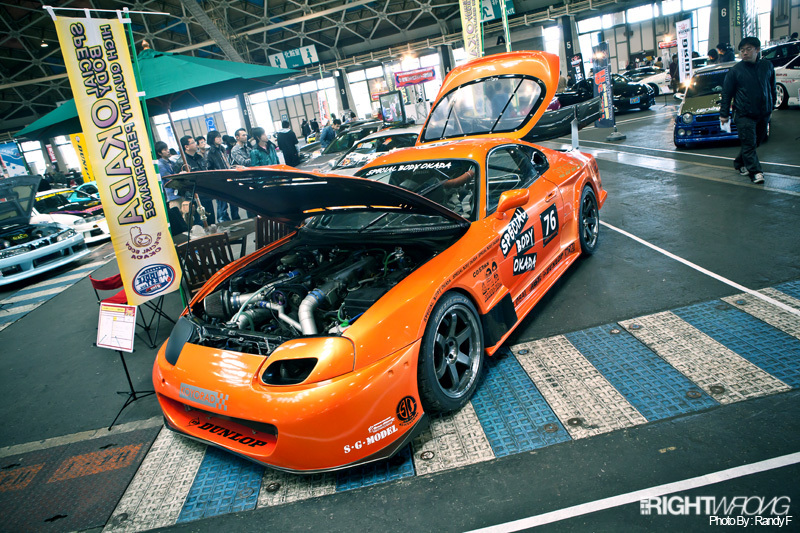 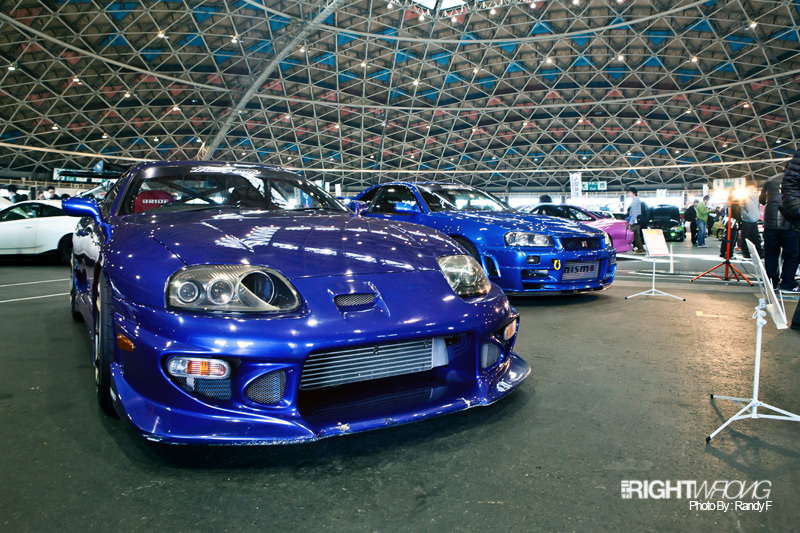 I believe our readers have a soft spot for the RX7s. 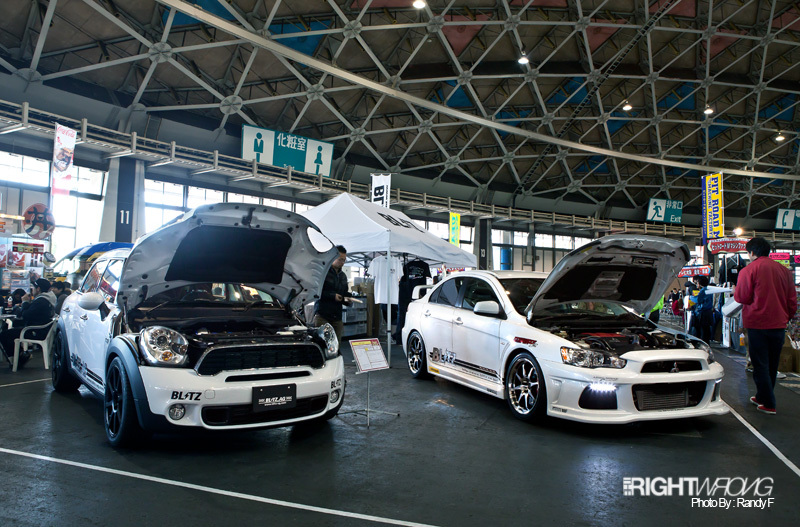 First up we have R-Magic. 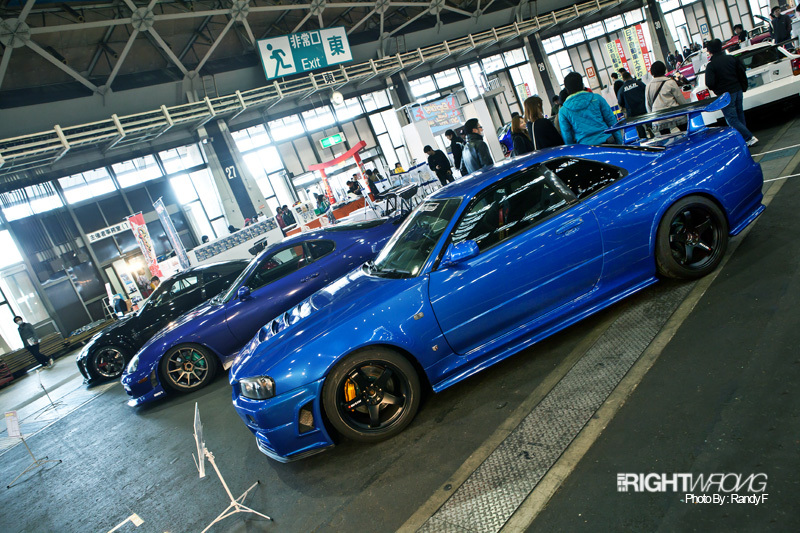 Some others which I didnt catch their names. 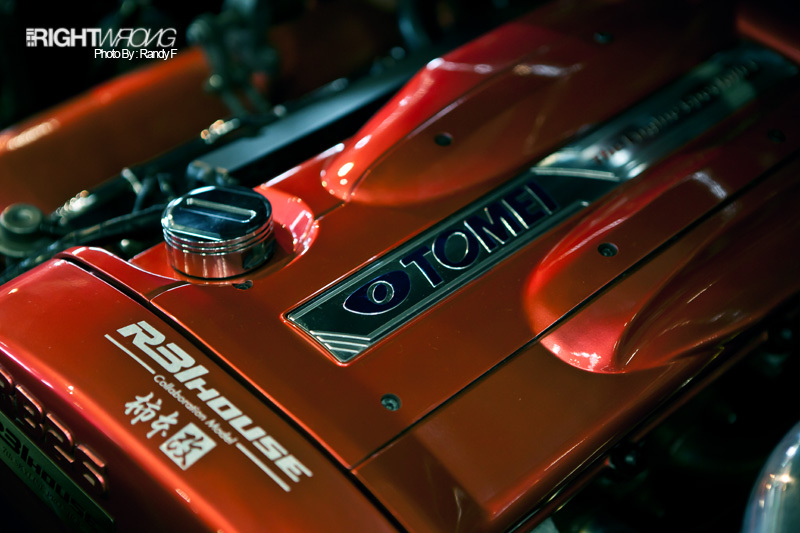 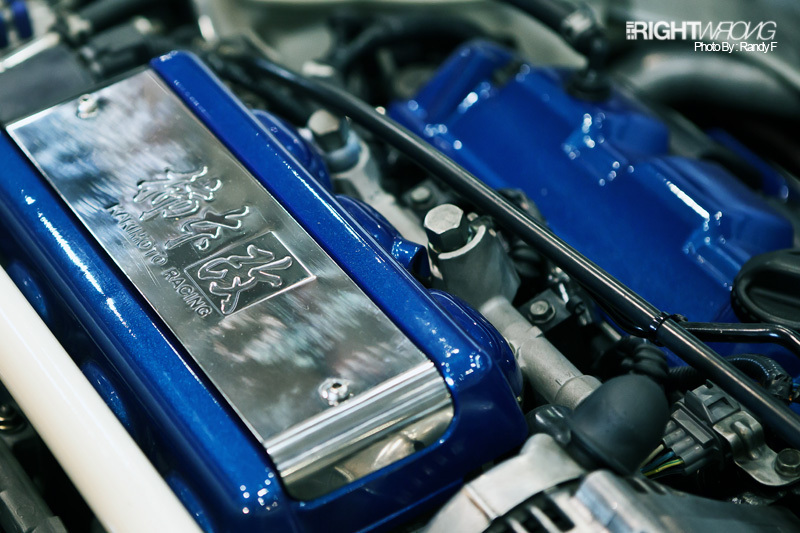 When LS1/LS6 swapped RX7 was the common route to go, this had an SR20 transplant. 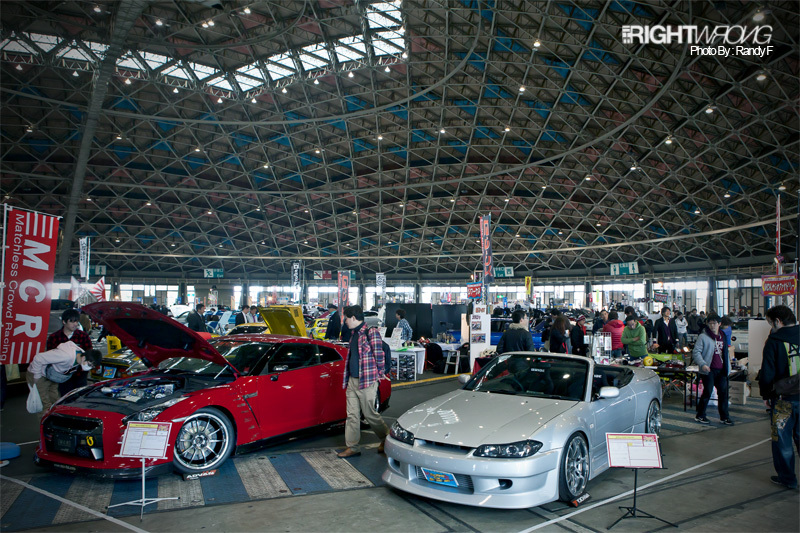 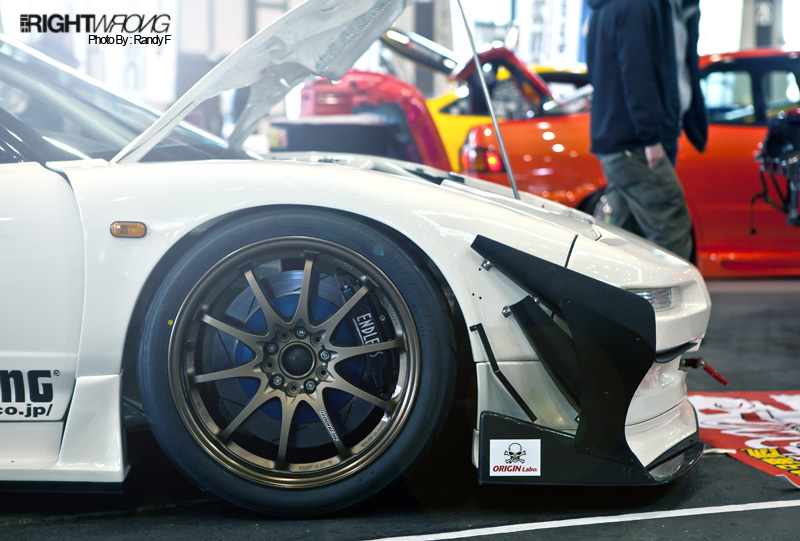 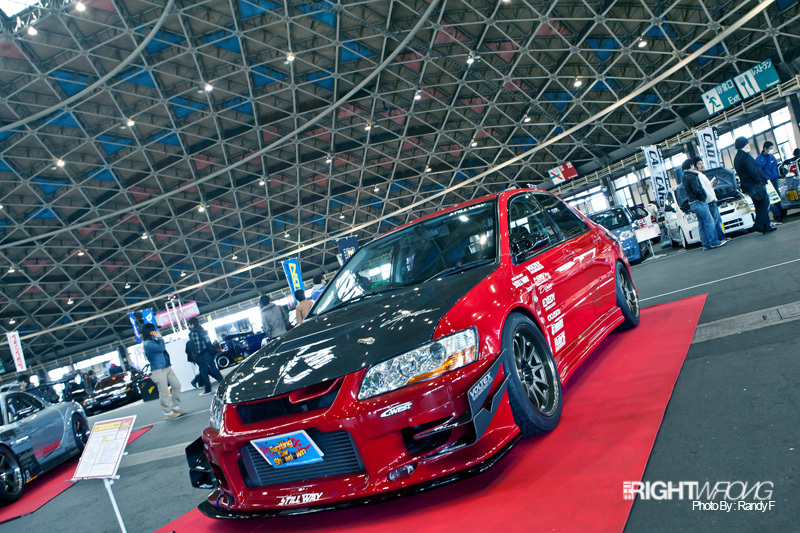 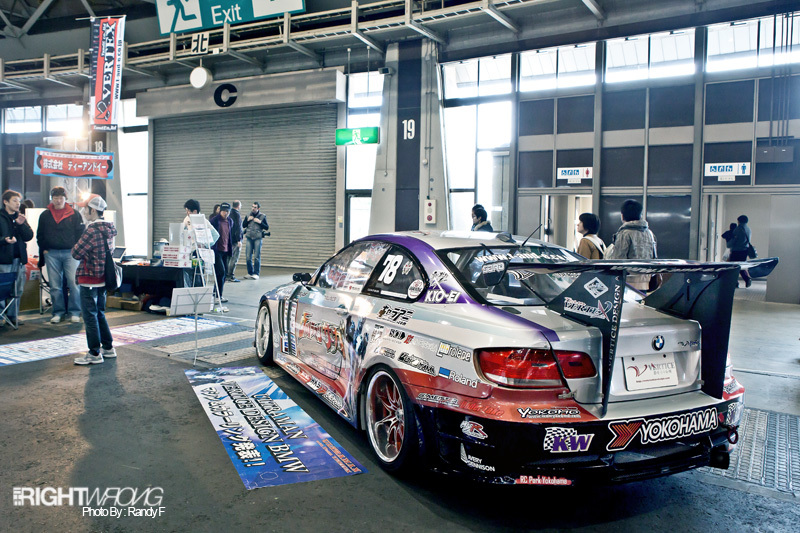 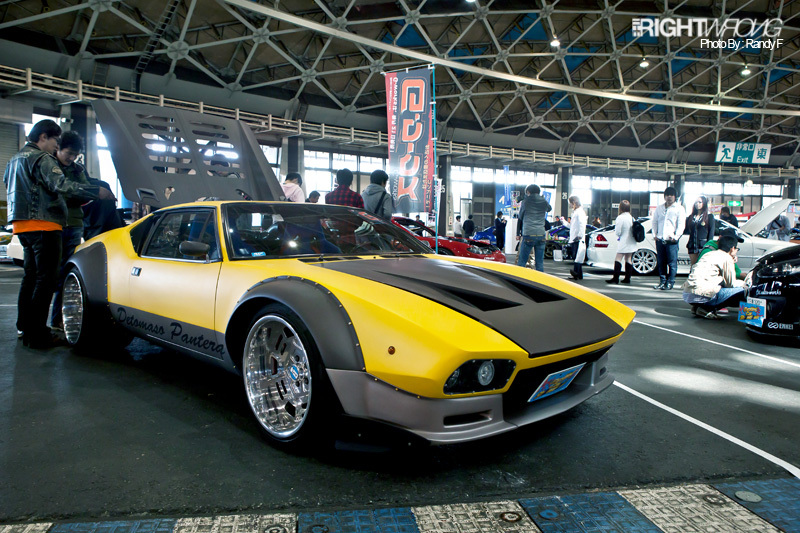 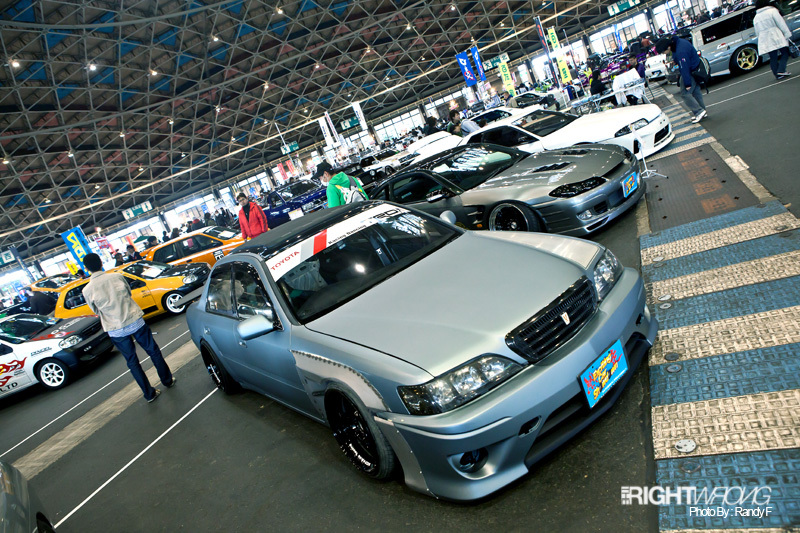 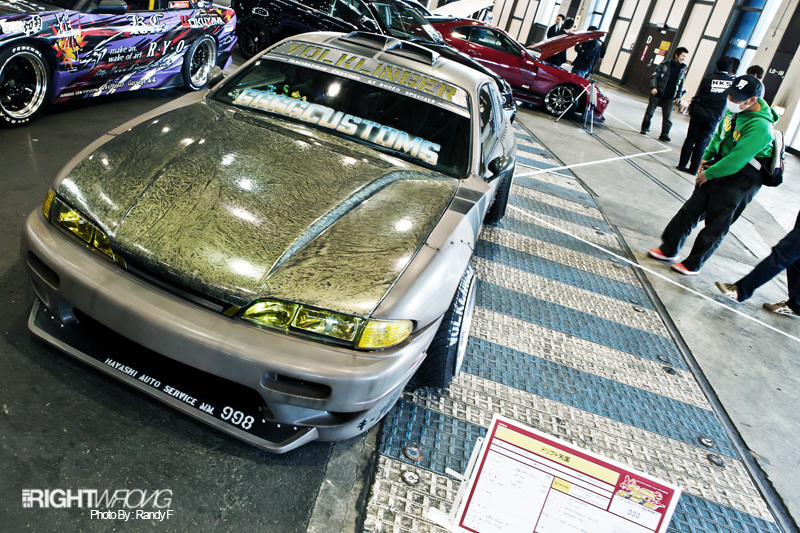 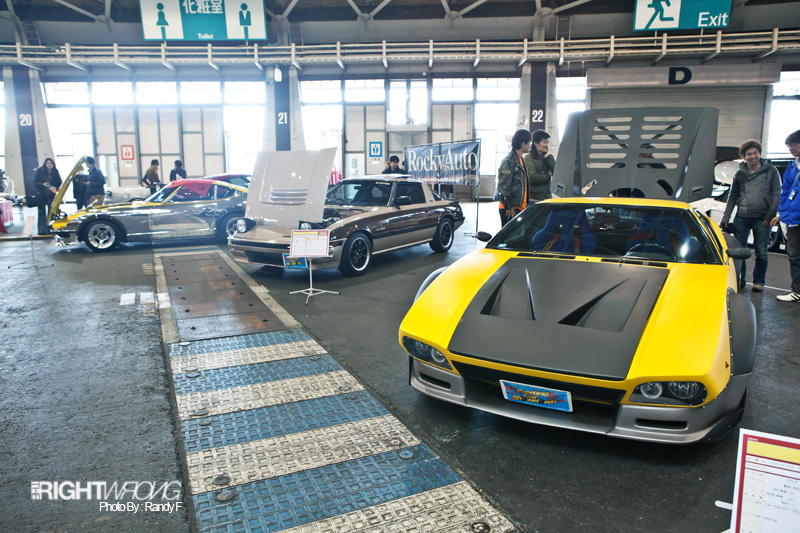 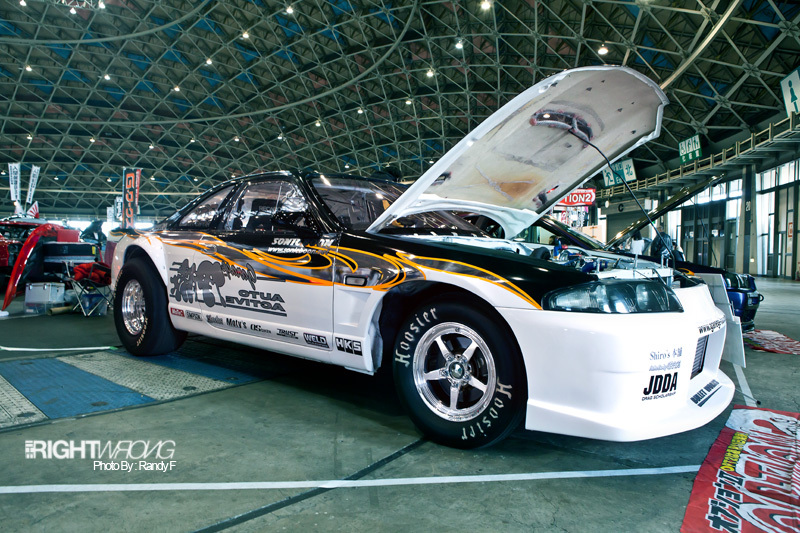 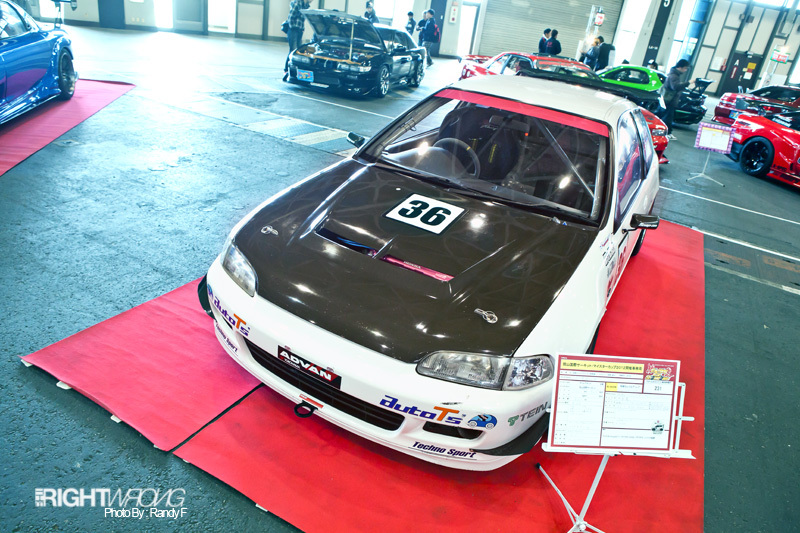 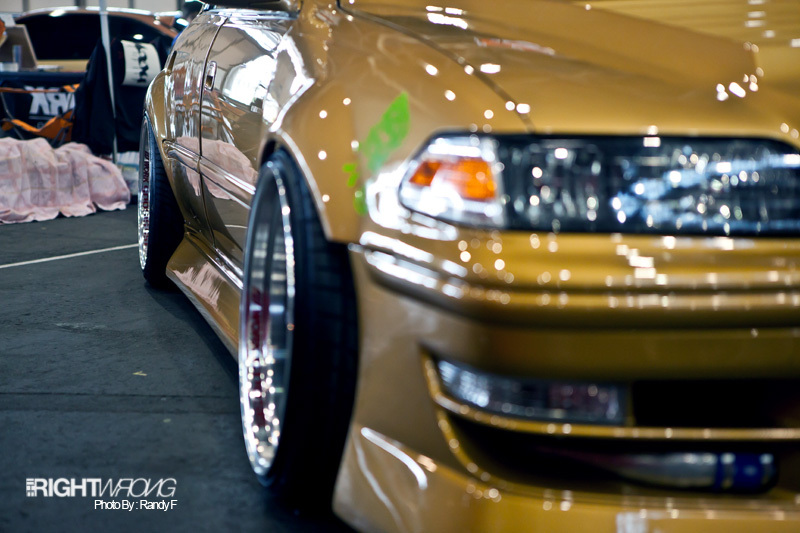 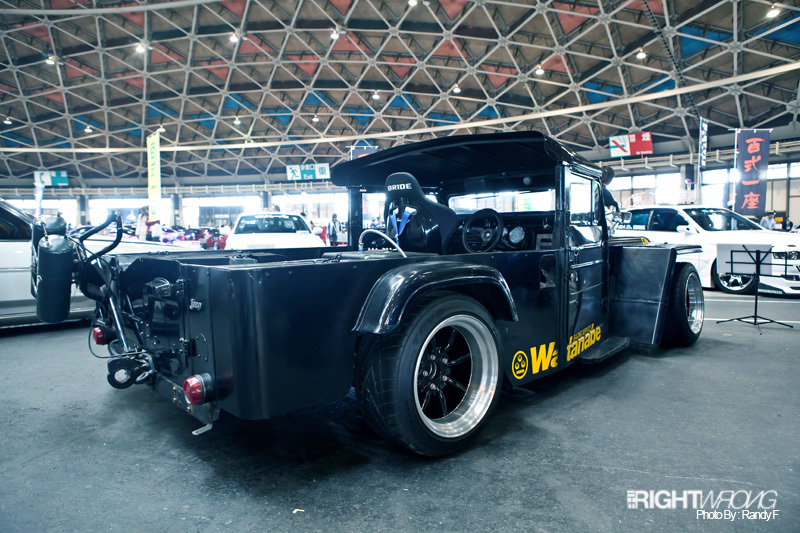 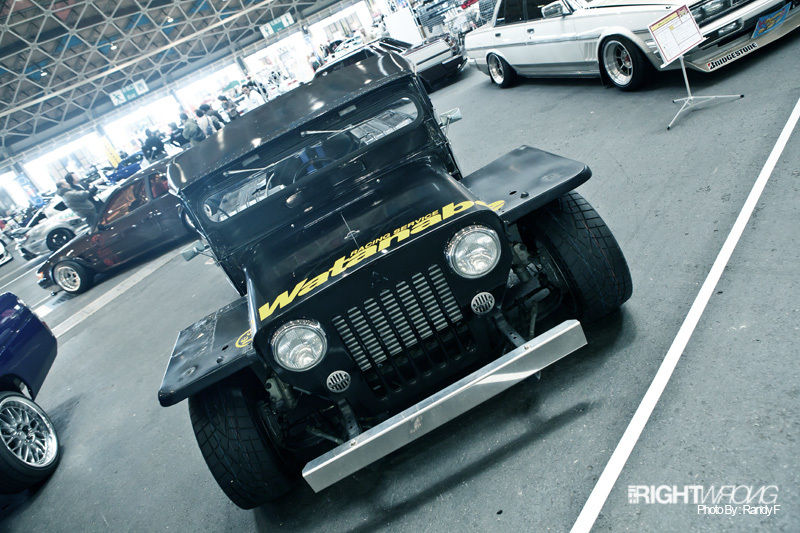 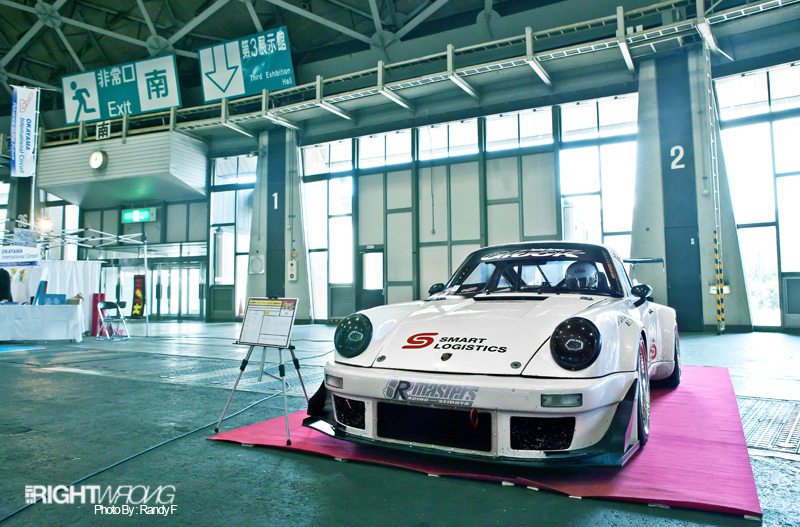 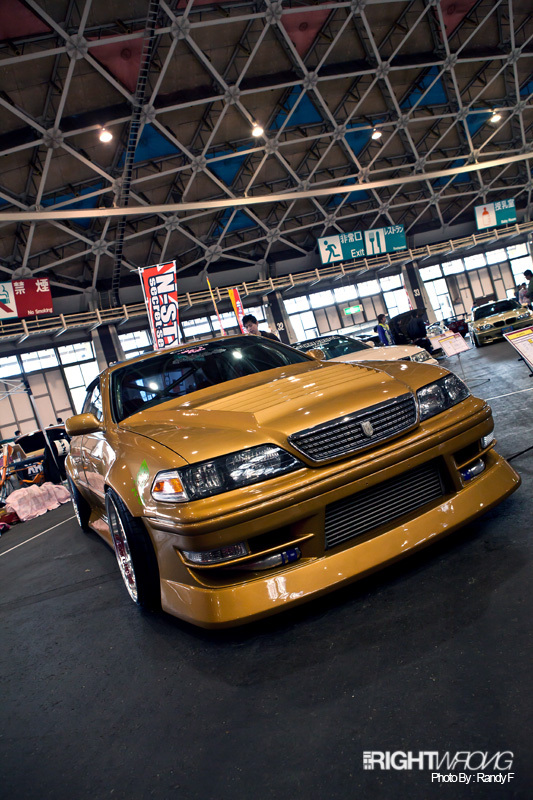 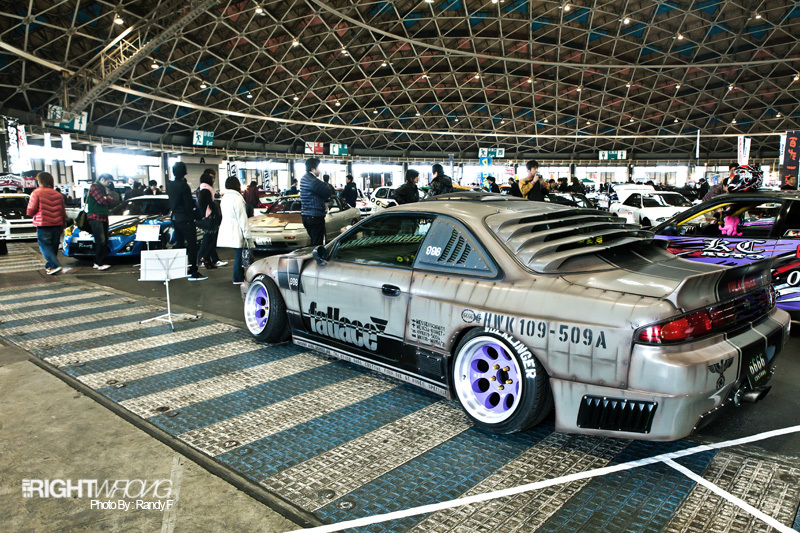 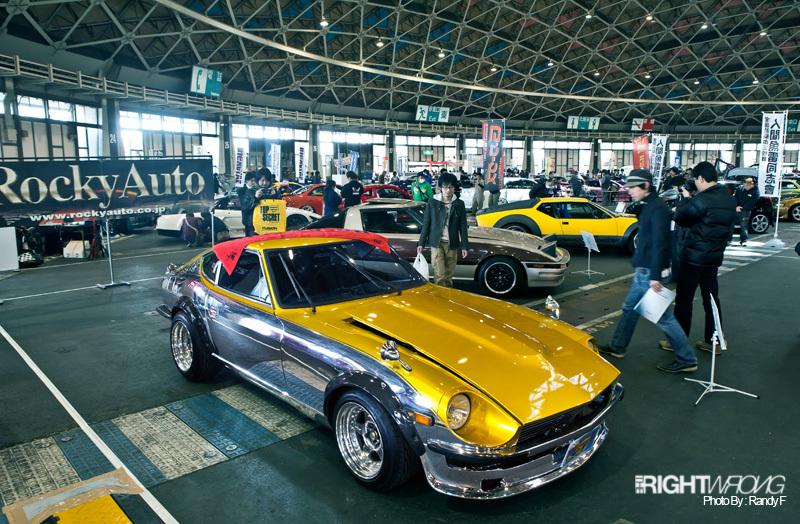 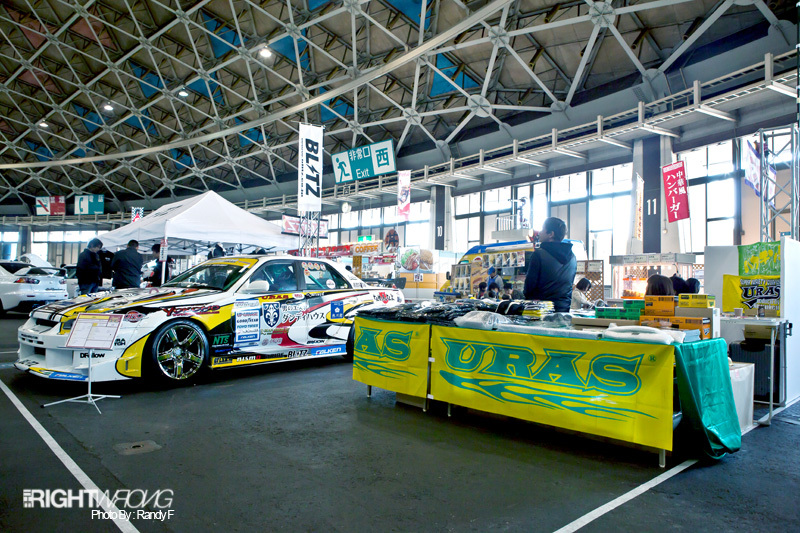 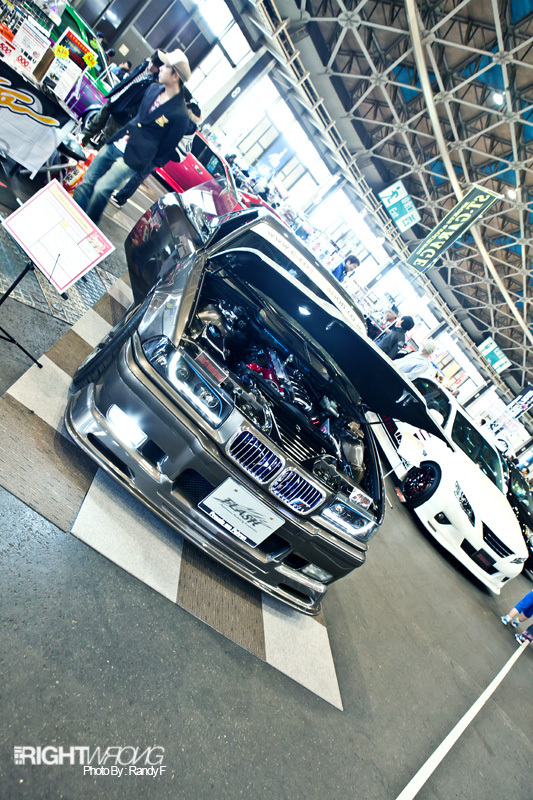 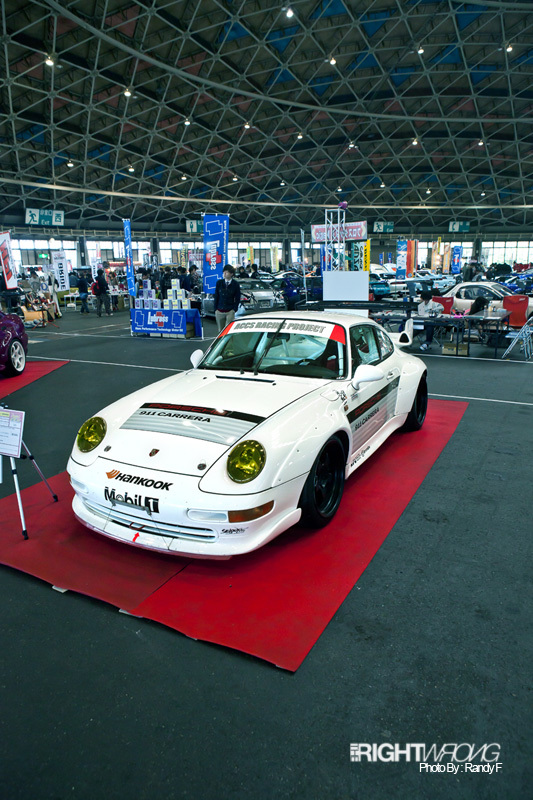 To round things up for the Nagoya Exciting Car Showdown, we have N-Style Customs spotting one of the largest booth in the show. 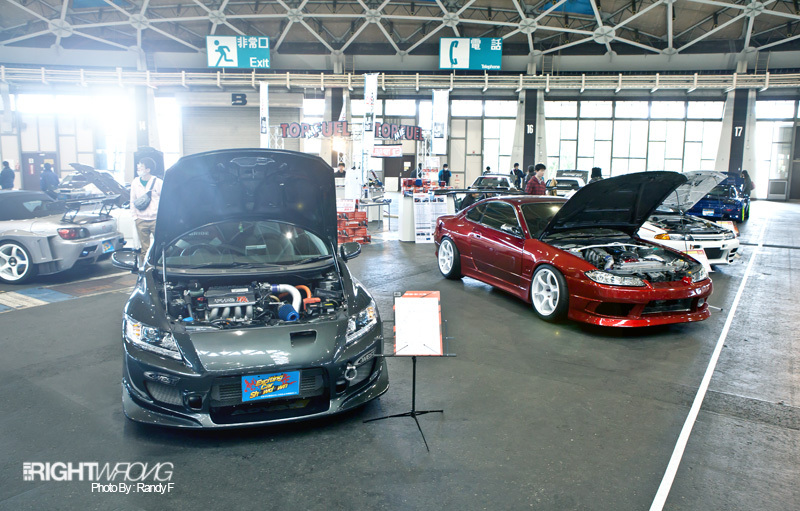 From Crowns with Volks Racing TE37SL to Silvia S15s with a BMW E46 front end. 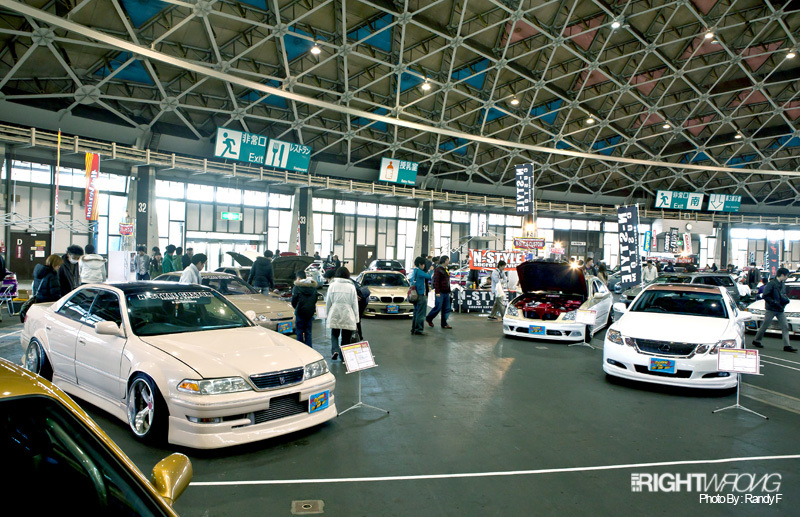 There were really too many cars to remember the names of every single one of them. 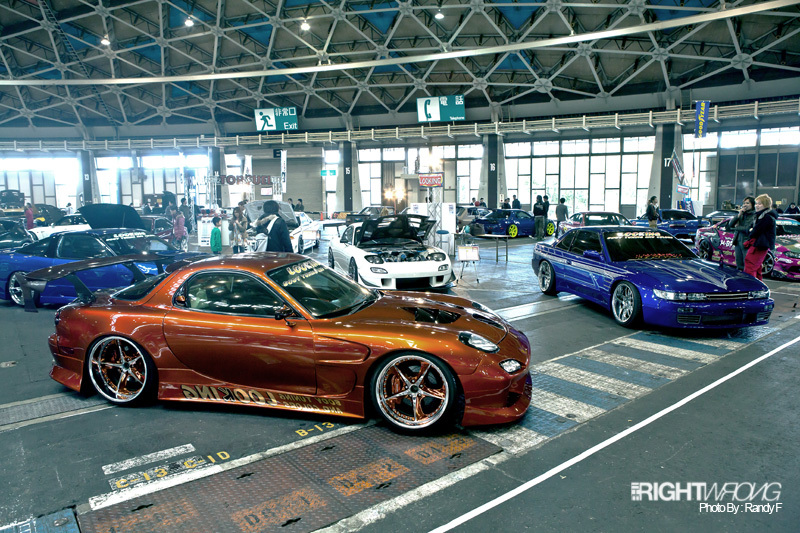 I’ll just leave them here for you to enjoy. 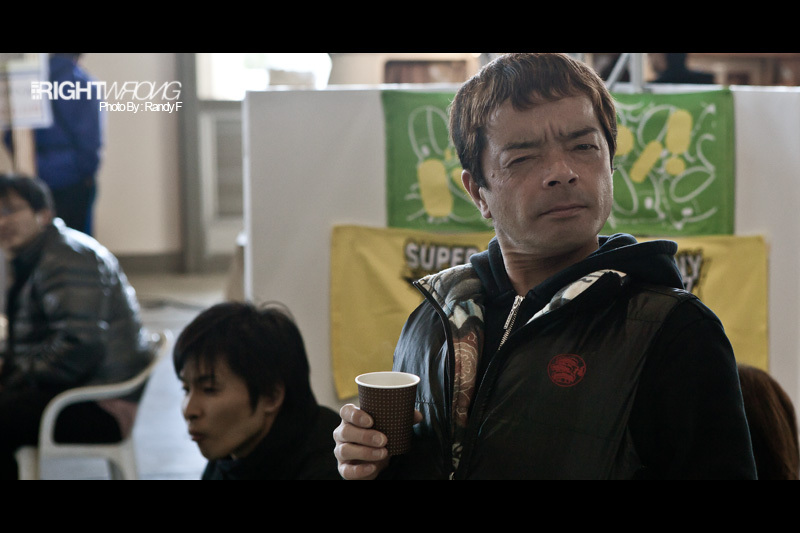 Lastly, here are the awesome peeps behind N-Style Custom, with me trying my best to communicate with them over a cigarette. 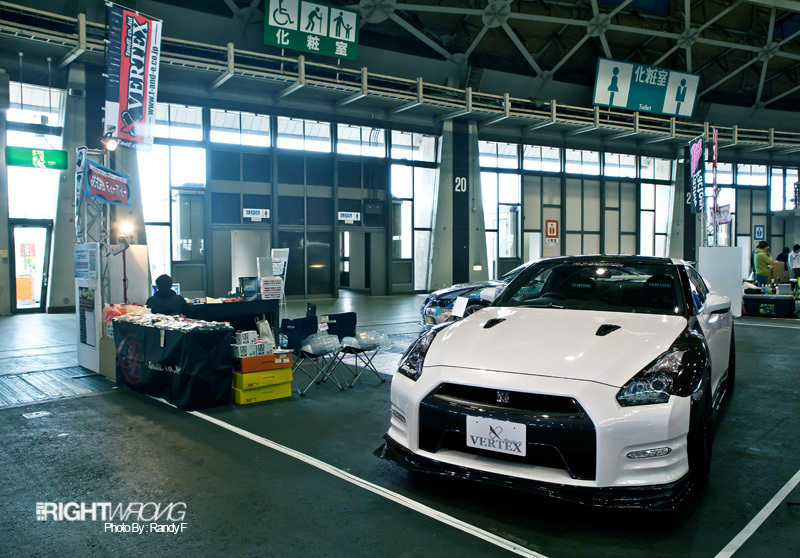 Thats all from Nayogo Folks, oh wait, what about the parking area?